With Montgomery County’s vibrant downtown districts and cultural and ethnic diversity, it’s no wonder the food scene is so wonderfully varied. Welcome to international dining at its finest. As Bethesda has grown, so has its culinary variety in the vibrant urban district. Find hot new restaurants, wine and sports bars, a craft beer venue where it’s always Oktoberfest, and more. 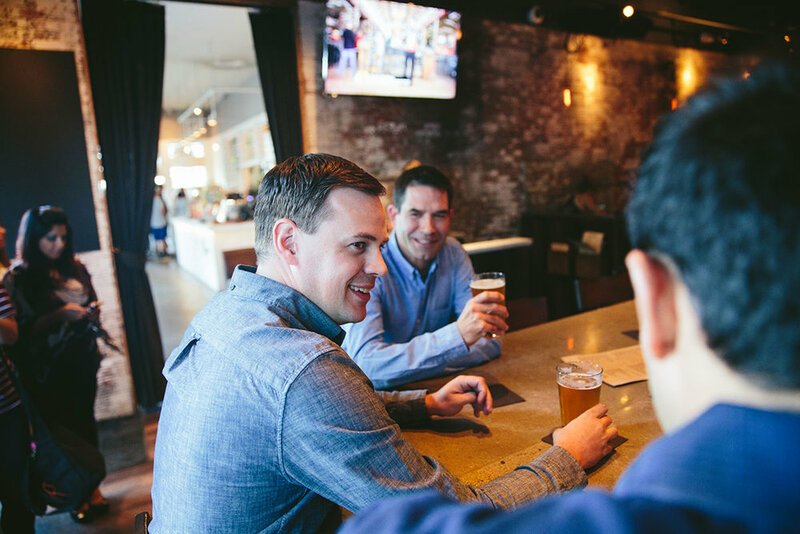 The Woodmont Avenue corridor welcomes happy crowds and well-known chefs serving inventive creations. Middle Eastern and modern American share blocks with other ethnic specialties. Another popular stretch, Bethesda Row, offers a fun atmosphere and great dining options. The Gaithersburg and Germantown areas offer many flavors of the Far East, with restaurants including Vietnamese, Chinese and Japanese, along with a variety of American and continental dining options. Downtown Crown and Rio Washingtonian Center are great walkable communities and venues for dining, entertainment, retail and family fun. Kensington offers a wide variety of cultural delights for the palate, ranging from African and Ethiopian to Thai, French and American. The farmer’s market, open year-round, draws a big crowd for wonderful fruits and vegetables, set on tables next to fresh seafood, flowers and delicious baked goods. After a day of antiquing at the many Kensington shops, there are plenty of choices to satiate you. 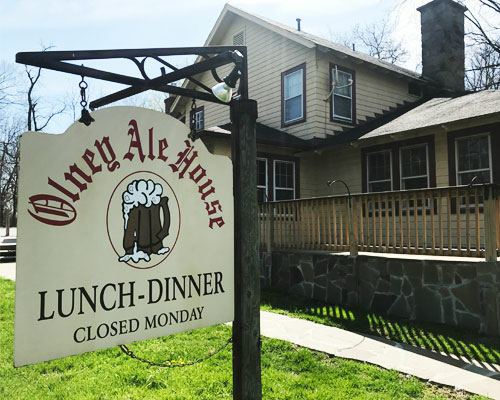 With historic buildings and landmark restaurants, Olney offers a nice variety of Far East cuisine, from Japanese and Thai to Vietnamese and Chinese. The area is also home to an historic ale house, right across the street from the Olney Theatre Center. Italian and American fare are also on the menu. Check out the family-owned restaurants and sandwich shops that have become local gathering spots. Rockville is home to so many very good, authentic Chinese restaurants, it’s informally known as the region’s new Chinatown. Venture to the Ritchie Center on Rockville Pike and find a virtual United Nations of flavors, including Peruvian and Indian. For dining and entertainment, Rockville and the North Bethesda have lively walkable communities, including Pike & Rose, Rockville Town Square and the White Flint Pike district. In Silver Spring and Wheaton, find hundreds of restaurants that explore virtually any part of the world. Choose Ethiopian cuisine, Salvadorian and Italian fare, Asian cuisine representing many regions or an authentic Irish pub. From American food and delis to fancier dining options, great options abound in the east part of Montgomery County. The energetic downtown districts are great fun to explore, shot and eat. Takoma Park is a haven for vegetarians and vegans, offering an unexpected variety of restaurants. Haute or hip, the main street is perfect for discovering homegrown, local restaurants that serve a variety of ethnic cuisines. With its small-town spirit and urban sophistication, Takoma Park diners could be serenaded by a side of live music or a passing street fair. Upcounty in the Clarksburg and Poolesville areas, find an array of restaurants including Asian cuisine, sushi and American fare, perfect after a day of shopping at the Clarksburg Outlets. Sugarloaf Mountain has a vineyard that draws a crowd and nearby, find restaurants with a gorgeous mountain view. The many farms in the area produce some of the best produce around, often available at local farmers’ markets and local restaurants.